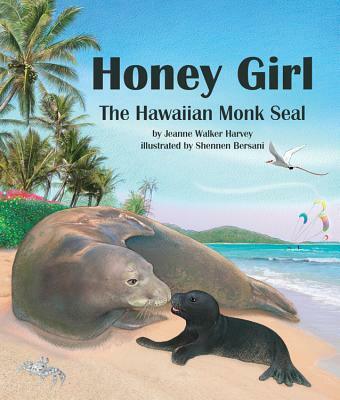 Hawaiian locals and visitors always enjoy spotting endangered Hawaiian monk seals, but Honey Girl is an extra special case. She has raised seven pups, and scientists call her -Super Mom.- After Honey Girl is injured by a fishhook, she gets very sick. Scientists and veterinarians work to save Honey Girl until she can be released back to her beach. This true story will have readers captivated to learn more about this endangered species. Shennen Bersani is an award-winning illustrator with 2 million copies of her books cherished and read by children, parents, and teachers throughout the world. Her art delivers heartfelt emotion, the wonders of nature and science, and creates a unique joy for learning. Some of Shennen's other illustrated works include A Case of Sense, Animal Partners; Sea Slime: Ita (TM)s Eeuwy, Gooey and Under the Sea; Shark Baby; Home in the Cave; Astro: The Steller Sea Lion; The Glaciers are Melting!, and Once Upon an Elephant, for Arbordale. She is also the author and illustrator of Achoo! Why Pollen Counts. Shennen lives near Boston. Visit her website at www.shennenbersani.com.